Construction has always been a tough industry to be involved in, from the ancient pyramids of Egypt to the sleek, modern homes of tomorrow. And though technology has come a long way, plenty of the same old problems are still slowing projects down. Drones in construction promise to change that. Across the construction industry, no matter what the project, you’ll need to put in plenty of legwork as you try to manage and document progress, inspect new structures, and keep an eye on the tiny details that can lead to big mistakes. Construction projects are complex, time-consuming and require plenty of resources and skills. Mistakes cost money. 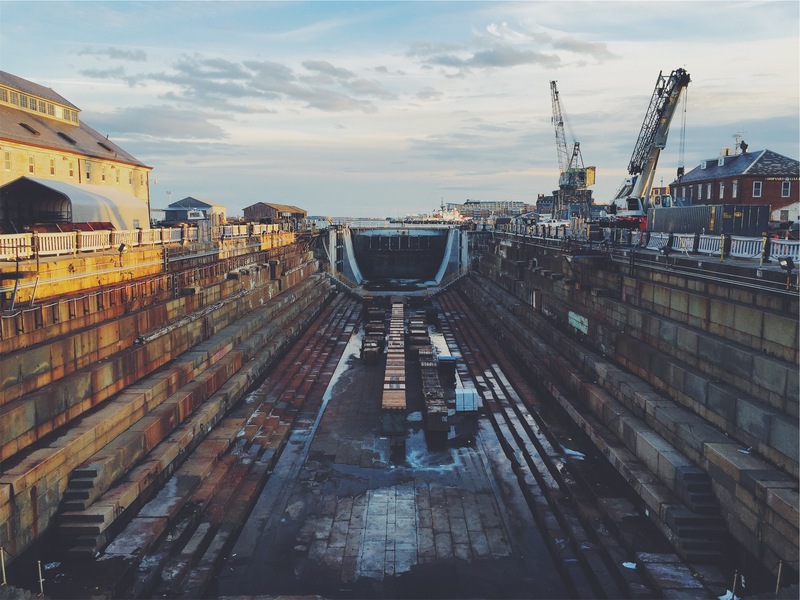 Before many construction projects have even started, methodical planning has to take place, involving architects, local authorities and engineers. The latest drone software can take a pre-designed flight plan, perform it perfectly, and use the data gathered to build a 3D map of the area. This image can then be used as part of the planning process, providing the foundation for the work of others. A land survey will need to be done, so why not use a drone and some smart software, instead of an expensive ground team? It’s not only at the start of a project that drones can come in handy. Many construction companies rely on regular flight footage to keep an eye on project progress and see how things are going. 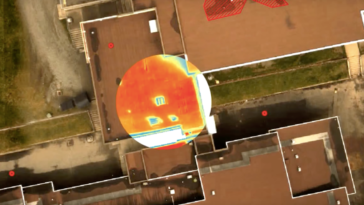 But again, smarter software is taking drone progress monitoring to an even higher level. Companies such as Kespry can provide stockpile measuring services, meaning the quantity of supplies can be constantly monitored, cutting a job that could take days down to a matter of minutes. 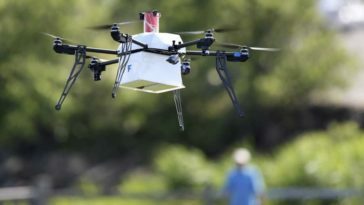 Combine this capability with a drone pre-programmed with an autonomous flight path, and you’ve got yourself a useful and efficient time-saving system. Drones were used earlier this year to help document progress of the construction work at the Chernobyl nuclear power plant, as work continues to secure the site of the 1986 accident. 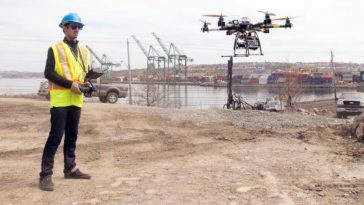 We’ve come across the use of drones in infrastructure inspection before. In fact, it’s a billion dollar industry very much on the rise. Whatever kind of construction project you’re working on, there may be a point at which you want to inspect something you’re about to knock down, or check over something that’s just been installed. 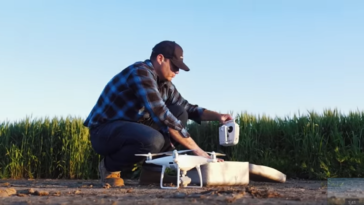 In either case, a single pilot can easily fly around whatever it is you want inspected and record a live feed of high-quality video to show to engineers on the ground. This is a lot more cost effective than traditional inspection methods, while having the added bonus of not putting anyone in harm’s way. We all know that aerial photography can add an extra layer of professionalism to any promotional video. Whether it’s highlighting a construction company’s services, or giving a tour of completed work, a bird’s eye perspective is always bound to impress investors and project managers. Even though for construction companies the benefits of drone technology are clear, there are still plenty of barriers preventing widespread deployment. First up is the fact that, in the US at least, operating a drone for commercial purposes is forbidden without a Section 333 exemption from the FAA. These can take months to receive, and don’t come cheap either. Second, there are still plenty of concerns and gray areas around privacy issues when using drones. Do everybody on site and nearby residents need to give permission before any filming can occur? To be on the safe side, the answer is probably yes. Finally, many commercial insurers are yet to respond to the growing UAV industry and cover drone-related services. This is partly out of uncertainty over who exactly is liable in the result of an accident. The pilot? The drone services provider or the construction company who hired them? 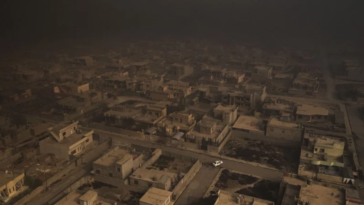 Until issues surrounding regulation, privacy and insurance are ironed out, it’s likely that plenty of construction operations will have to go ahead without the help of an eye in the sky. It’s crazy to think that in a number of years, drones could even be doing some of the building work! Of course, they’ll have to get a little bigger and more powerful for that. We also recently published a similar article on our site. Another idea would be to use the impressive flyover videos for your website. If potential clients come to your site and see impressive drone footage, they’ll be impressed not only by the construction work, but also that you’re up-to-date in the world of technology…so much so that you have a drone! Had an interesting time reading this. Thanks for sharing a smart thought.